Did you know you can now order your Just Eat takeaway from Modern Tandoori here on View? 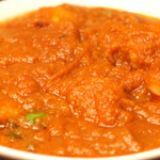 Modern Tandoori is an intimate Indian restaurant offering a contemporary and exciting approach on Indian cuisine. 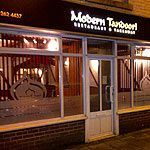 Situated in Wallsend, Modern Tandoori has established an enviable reputation in the region for providing an impeccable dining experience. Do you work at Modern Tandoori? What did you think of Modern Tandoori?